So do we blame Pitt Cue? Like the food truck, American style BBQ is a newcomer to these shores. I remember sitting in Stubbs in Austin in 2010, feeling amazed that America had kept a whole cuisine secret. Smoked brisket, pulled pork, beef ribs - this was a smokey, intense, grown up food, unlike anything I associated with American cuisine. And I was hooked - the next day we were off to Saltlick, in the evocatively named Driftwood, to try more of this unusual, delicious food. That's not to say I couldn't have discovered barbecue in England. Bodeans, in Soho, had been serving ribs, pork and brisket, 'Kansas style', to homesick Americans and adventurous Londoners since 2003. I've since tried it, and it's great - but somehow it didn't quite replicate the authentic American BBQ experience for me. That's not to say they didn't try, but some how it was just too, well, clean. The food came on china plates with cutlery. That's not quite right. In Texas and the South, barbecue is paper plates and a roll of kitchen towel in the center of the table, plastic forks if you're lucky. It's food, let's be honest, slopped onto plates and shoved in front of you. Bodeans aren't going to send out a plate with beans dripping off one side. Saltlick don't give a damn. So, Pitt Cue. They arrived under Hungerford Bridge in 2011 with their shiny silver custom-made BBQ truck, a slice of Austin on the South Bank. They slopped messy food into cardboard boxes. 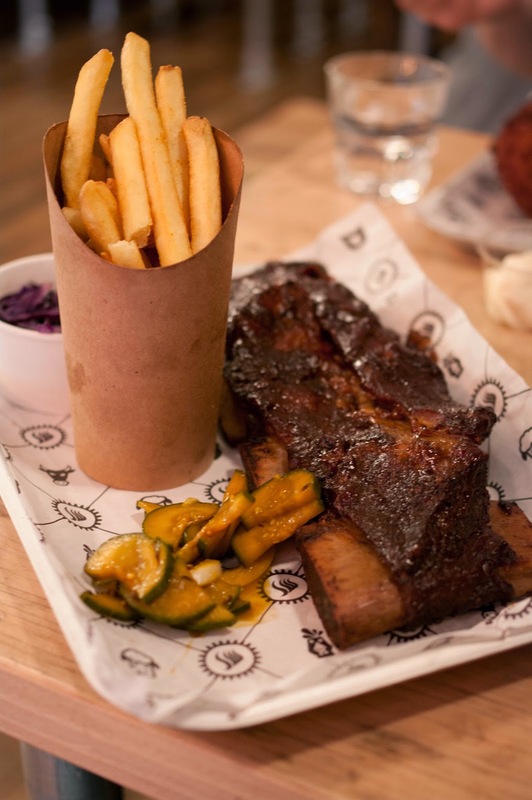 And they were a huge hit - and perhaps, there, was Britain's love of American BBQ born. 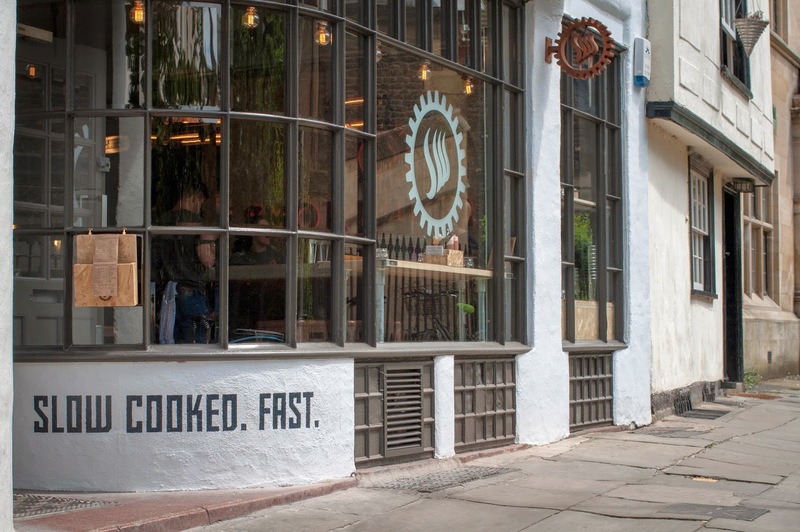 Now it's arrived here in Cambridge - yesterday Cambscuisine opened Smokeworks, the newest restaurant in a stable that already includes the wonderful St John's Chop House, among others. This lunch time, we just had to go! The place has a smart industrial look - all the better to exorcise the memory of the Eriana Taverna (mmm, over 45 dishes all based on mince). The menu was Southern slanting barbecue - alongside beef, pork and lamb(!) ribs there was fried chicken and wings, plus mash, beans and pickles as well as the mandatory (in the UK) fries. Now, the Texan inside me (y'all) would have liked to see them make a little more of their smoker - where were the brisket, links or smoked turkey? But perhaps Cambridge isn't ready for that - we don't want to scare the natives this early in the venture. 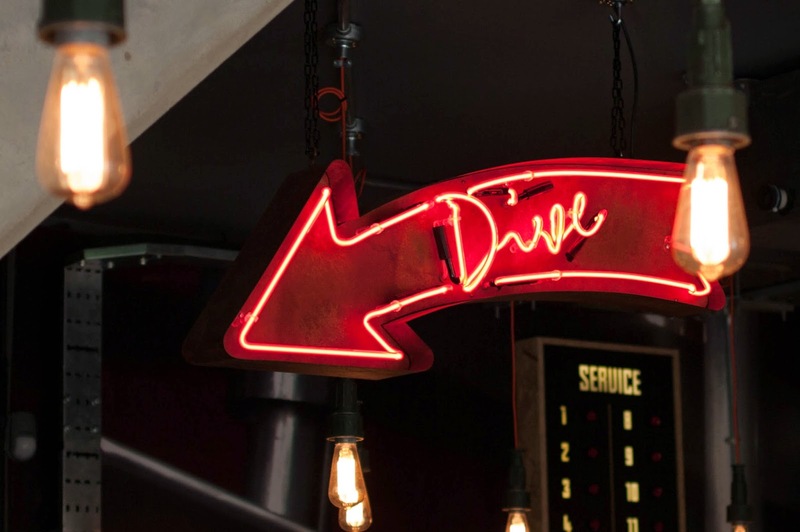 Like any new restaurant, they were keen to know if we 'got it' - did we like the concept? (sure do), were we aware that slaw isn't coleslaw? (sure are). But all that said, I couldn't fault my beef ribs - not too sweet, not too smoked, served on a paper covered tray with the sides in cardboard pots - so far, so Texas. Not too clean. 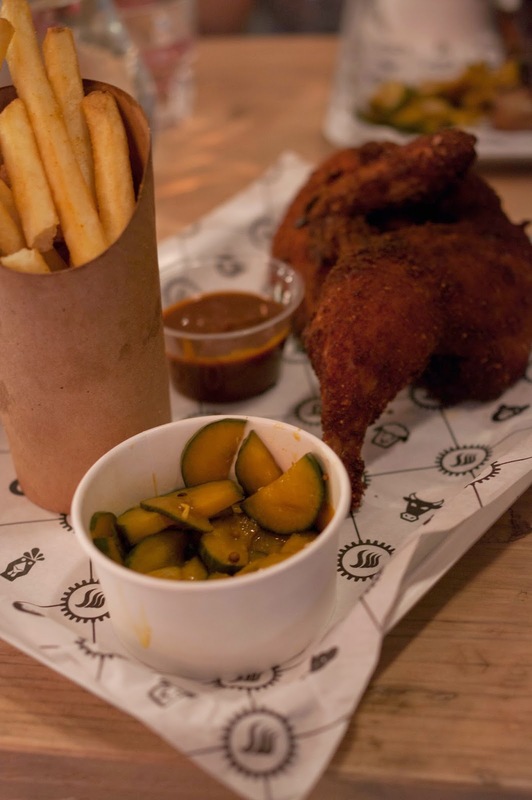 My wife had the fried half chicken - succulent meat, she says, but perhaps the coating was over-cooked? Herby fries were, well, lovely but not very herby and the slaw and pickles helped cut through the fat. Would I go back? Definitely - I want to try the buns, the beef on toast and the bourbon cocktails. A welcome addition to Cambridge's restaurant scene. Dare I say it's smokin?